Prince & Prince, Inc. (P&P), a leader in market research focused on the floral industry has released a projection for the retail value of U.S. consumer floral purchasing for the upcoming Mother’s Day holiday (Mother’s Day is Sunday, May 14th, 2017). The P&P U.S. consumer floral spending projection is $4.2 billion dollars at retail, including all fresh floral products (fresh cut flower arrangements, bouquets, roses, single stems, and corsages, and indoor potted flowering and foliage plants & planters) and any associated delivery/ service fees. Mother’s Day is still the most important and largest “floral holiday” for the U.S. floral industry. P&P project that in 2017, nearly 55 million households in the U.S. will purchase fresh flowers and/or potted plants for a well-deserving mom on this special day. More floral-buying households in the U.S. purchase floral products for Mother’s Day than any other holiday, event, or occasion of floral purchase throughout the year 1. 1 Some floral industry statistics suggest that Christmas is the largest floral holiday. However P&P market data indicate that a substantial portion of that holiday floral purchasing (e.g. poinsettias) is likely purchased for (prior to) Thanksgiving (a dual holiday purchase), as the Christmas holiday marketing is pushed earlier in the season. Based on the number of U.S. floral-buying households making a floral purchase, P&P market data indicate that Mother’s Day is still the top floral holiday including all household members making a floral purchase, and with associated delivery/ service fees included. Prince & Prince has been tracking U.S. consumer floral purchasing behavior for Mother’s Day, and for 20 other holidays, events, and occasions over the past two decades with their periodic surveys of U.S. floral-buying households. These surveys are completed by randomly-selected floral-buying households throughout the U.S. and returned to P&P for statistical analysis, via both mail and Internet surveying methodologies (over 7,000 surveys completed over the survey years). Thus, P&P is able to reliably identify and project salient floral-purchasing trends over time for the floral industry. 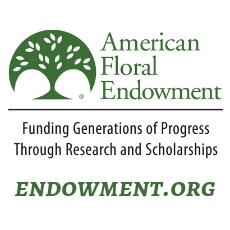 U.S. consumer floral purchasing trends and floral-outlet evaluations across six national surveys conducted over the past 20 years (initial survey conducted in 1996; the 2017 survey will be the seventh P&P national consumer floral survey). 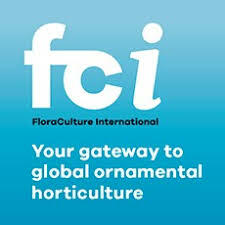 Research co-sponsors receive the floral market presentation first thru a one-day, on-site seminar with Q&A, the complete 800+ slide presentation on flash drive, and sponsors receive exclusivity of the market information for a one-year period. Interested parties should contact P&P for research sponsorship opportunities.